Meet Kelly Martin! A dedicated volunteer, she is one of the many wonderful people who allow the Mattress Factory to thrive. Read on to learn more about her involvement with the museum. How did you get into volunteering at MF? I owe it all to my best friend, Ally Thomas. 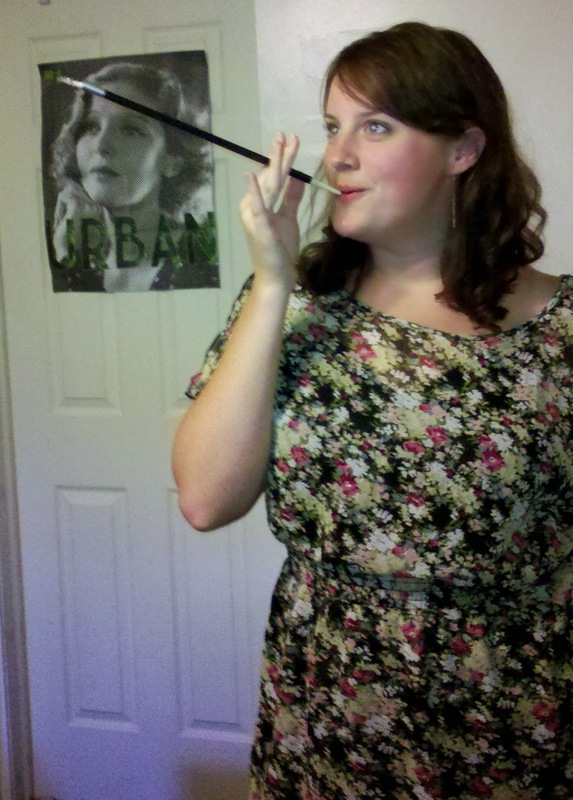 She started out as a MF volunteer during our senior year at Pitt, and then because of her art history and education background (and also because she is wonderful) she eventually landed a job in the education department. The first few times I visited, she was my knowledgeable tour guide and planted the seeds of my love for this museum. I volunteered alongside her at a few events, and I was hooked -- the Garden Parties were unlike anything I'd ever seen, not to mention the fantastic and welcoming staff that makes it all happen. I'm now on the monthly call list, and even though Ally has since left Pittsburgh, volunteering here is still fun for me. What do you like to do when you're not volunteering? In my free time I enjoy exploring Pittsburgh, dancing to live music, playing water polo, seeking out new places and experiences with my loved ones and finding things on the internet to read / listen to / make "later." Helping out as a volunteer gives you an insider perspective that the typical visitor doesn't have. What's your favorite or most interesting thing you've discovered about the museum while volunteering here? 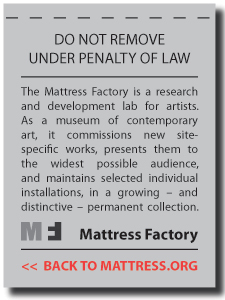 I think I now better appreciate the way that the Mattress Factory balances different goals. There is of course the emphasis on bringing unique, thought-provoking contemporary art and artists to Pittsburgh, but there is this community strengthening element of the museum that provides so much motivation and inspiration. The Mexican War Streets neighborhood has always felt so energized during any events that I've been a part of. And while gallery attending I get the chance to speak with visitors -- students, tourists, lifelong Pittsburgh residents, etc -- which has helped me to understand the scope of the impact this museum has on its city. Favorite city to travel to? That's tough! Are we talking about a city I've already been to and know that it's a favorite? If so, I'd be thrilled to get back out to Denver. The abundant sunshine was unreal, and I loved the clean, happy vibe of the city. Current favorite dream city to travel to would be Delhi, or really anywhere in India. I would bring a fully loaded iPod, a fully loaded Kindle, some sort of solar-powered charging system, a big hat and goggles. Some basics like matches and tools would probably be smart. Oh, and I'm gonna need a hammock. April 19 ARTLab: Wild Weavings! April started with the third fantastic installment of ARTLab’s partnership with Conservation Consultants, Inc. Part three of the Photovoltaic Solar Energy and Art Series introduced Mark Barlow, a PV engineer who taught museum guests how to make their own solar power cells and demonstrated the electrifying capabilities of the Tesla Coil. CCI educator Indigo Raffel, and Mattress Factory educator Derek Reese teamed up to teach guests how to create their own photographic solar prints using objects from nature and the power of the sun. 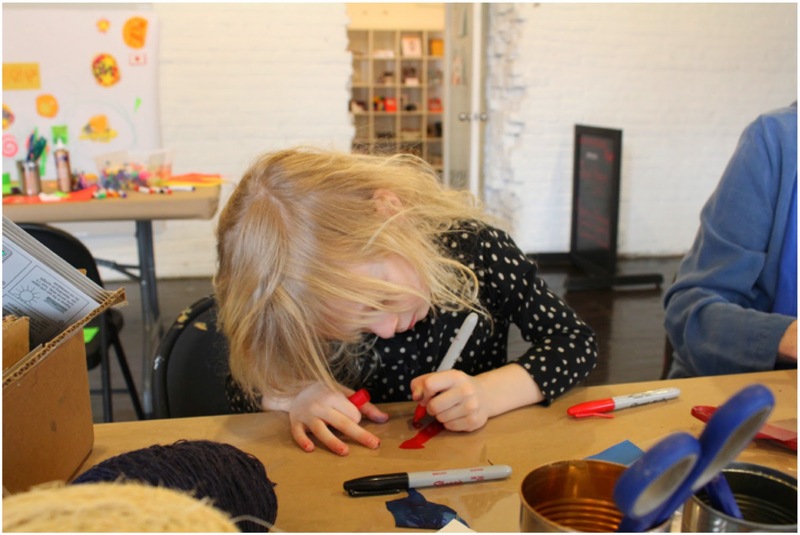 Join us next ARTLab for “Wild Weavings,” where guests will partake in weaving based arts, creating their own looms to make wild woven mixed media collages or create colorful hanging art pieces using forked branches and yarn. This ARTLab is inspired by Chiharu Shiota’s yarn based installation at our 516 Gallery titled Traces of Memory. Shiota uses yarn as a drawing material to create densely woven three-dimensional environments that obscures and alters perception. The “Wild Weavings” ARTLab takes place on Saturday, April 19 from 1:00PM to 4:00PM. 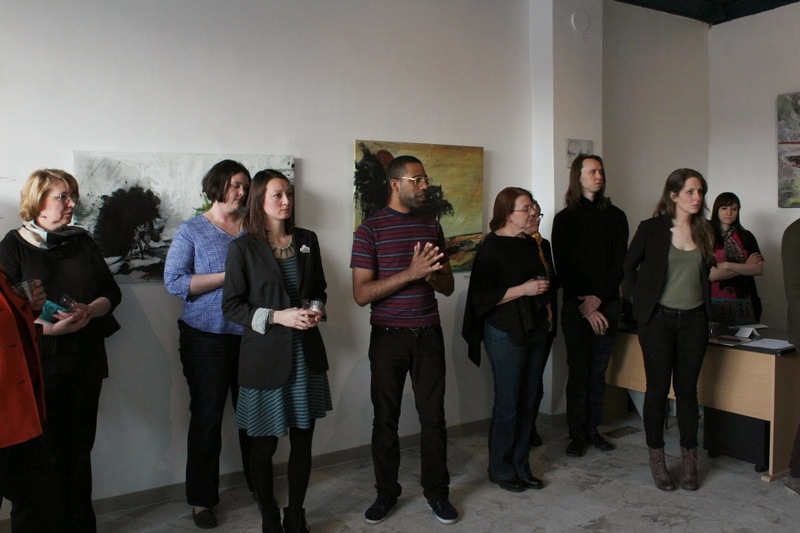 On March 28th, 2014, the Factory 500 members visited Lawrenceville to check out some of the the people and places that are contributing to the neighborhood's growing arts and foodie culture. 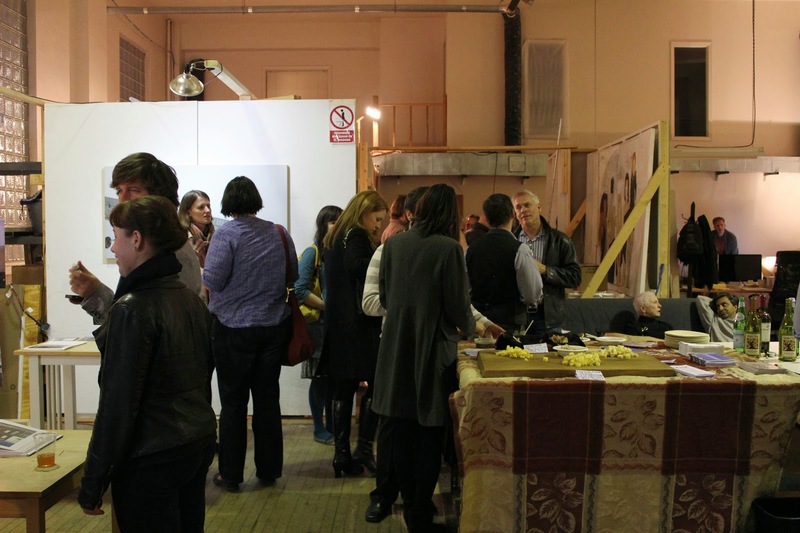 The first stop was Revision Space, with Director Cindy Lisica, which opened in February 2014. Cindy discussed her move back to Pittsburgh and the history of this unique space on Butler Street. The gallery's inaugural show opened on February 21, 2014 and featured new, never before seen work by artist Cy Gavin. Cy explained some of the inspiration and thought behind this collection of of works, which reflects on the untimely passing of a close friend. Many of the paintings had been folded and sat untouched in his New York apartment. When the canvas was stretched for Fugue States at Revision Space, it was the first time Cy had seen the pieces since painting them. Revision Space's upcoming show, Art is Violent, opens to the public on April 4th, 2014. The second stop was Radiant Hall Studios, an artist-run studio building in the heart of Lawrenceville that provides space and connections for emerging artists in the Pittsburgh region. 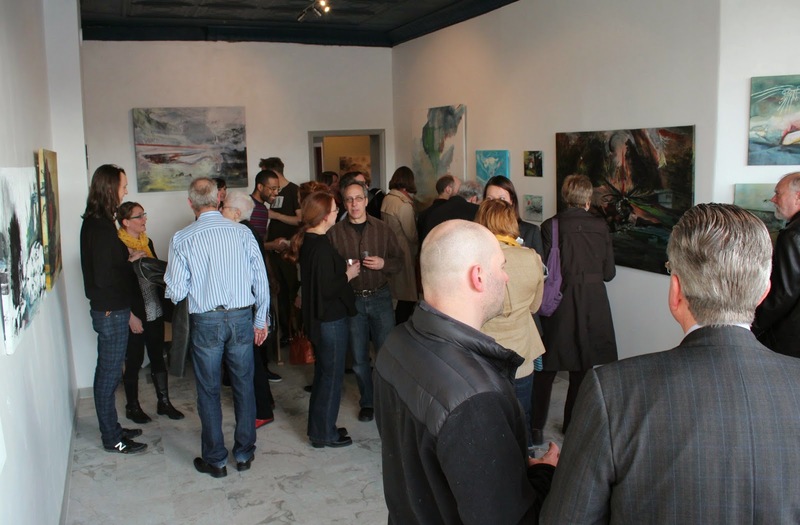 Director Ryan Lammie oversees nearly 20 artists on three floors. Tom Patterson from Wild Purveyors, Steve Sloan from Roundabout Brewery, and Paul Roden from Tugboat Print Shop also joined in the evening. Tom Patterson is co-owner of Wild Purveyors, a store on Butler Street that provides locally grown food to the public. Tom brought along some samples for the group to try. Roundabout Brewery owner Steve Sloan opened the craft brewery in July 2013. Located at 48th and Butler, Roundabout features fresh-brewed beers with a New Zealand flair. Members sampled his fantastic beer and a lucky few got to keep Roundabout beer growlers. The group samples food and beer. Paul of Tugboat Printshop was also on hand at Radiant Hall. 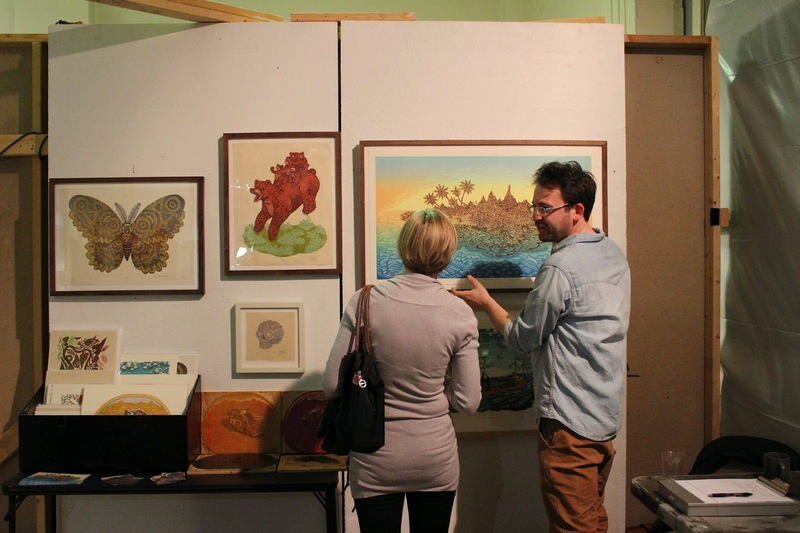 Tugboat hand crafts woodcut prints in their studio in Lawrenceville. 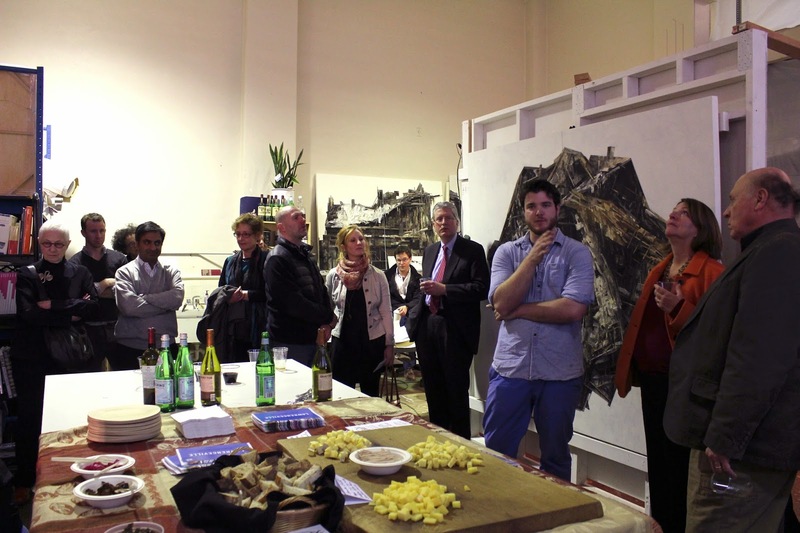 Paul spoke to the group about their work and showed some of their intricate pieces. Thanks to everyone who attended! Factory 500 is the museum's premier membership group, chaired by Susan Lammie. Members get exclusive access to tours of artist studios, businesses, private collections and more. See you at the MF soon. 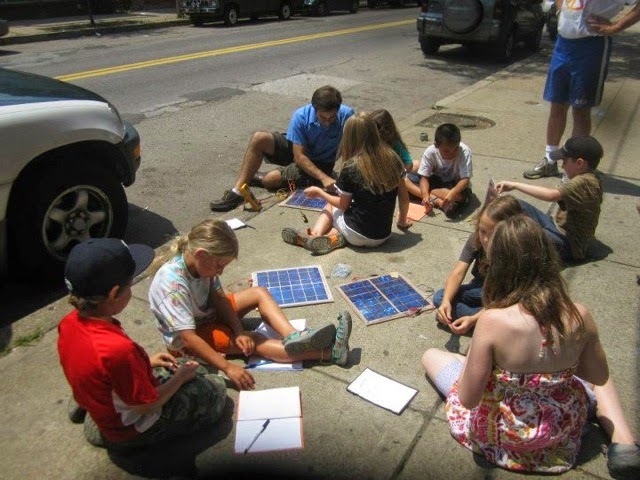 April 5, 2014 ARTLab: Solar Panel Jamboree! We all know that solar panels use the sun to create energy, but have you ever considered how? Have you ever considered how solar energy can create art? Join ARTLab on April 5th as we become solar panel scientists for the day! Participants will work with a solar panel provided by DC to Power to experiment with angles and location as they link the solar energy to small electronics. Visitors will also make their own prints created from the sun using stenciling and UV light to produce photographic images with the assistance of educators Indigo Raffel and Derek Reese. This installment of ARTLab is a perfect example of how art and science can come together to create something new! We hope to see you on the first Saturday of April, ready to learn and make from green energy!